When Is a Joint Venture Right for Commercial Property Development? A popular means of funding the purchase or development of a commercial property, a joint venture – also known as a JV – can be beneficial to all parties, although there are elements you should be aware of before you enter into an agreement. Each party will contribute – and share – their capital, resources, skill and risk across the property development project. Joint ventures are based on the premise that one party needs the skills, resources or funds of the other and vice versa. What are the types of joint venture? Why opt for a joint venture? One of the most frequent reasons that a commercial property developer will consider a joint venture is to provide the necessary capital to fund the development. An alternative to a bridging loan, a JV can cover the costs of the project, with the profits and proceeds split after the sale. 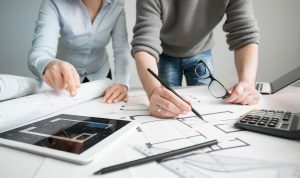 If you already have the necessary funding in place for a commercial development, a joint venture can also be used to provide any specialist skills which the project requires, such as architectural or design skills. Joint ventures are generally more suited to short term development projects rather than long term. There should always be a clear exit plan in place for all parties. When is a joint venture not suitable? While a JV may seem ideal for every commercial property purchase or development, it may not always be the most suitable option. Once you have chosen the parties who will be entering into the joint venture with you, it’s highly advisable to work with a solicitor to craft a joint venture agreement to protect the interests of each party. Once you – and the other parties in the joint venture – are happy with each element of the proposed venture, a solicitor can draft the JV agreement. For expert advice on all aspects of commercial property management – from valuations and sales to surveying and insurance – get in touch with our team of commercial property specialists.